Dr. John Turgai attended University of Wisconsin-Madison where he received his Bachelor of Science degree. He attended the University of Wisconsin-Madison School of Veterinary Medicine where his love for animals increased ten-fold. After graduation from UWVS, he completed a one year internship in small animal medicine and surgery at Oklahoma State University. Dr. John loved living in Madison but decided to migrate to Orlando to be closer to family. Dr. John’s prior work experience includes Longwood Veterinary Clinic and Winter Garden Animal Hospital. He also worked as a relief doctor at various other clinics, including the emergency clinics. He has two cats, an aging Maine Coone, Charlie, and an impish three-legger, Iggy. When he is not working at the clinic you may find Dr. John scuba diving off the coast of Costa Rica or skiing on the snowy slopes of Vermont! In 1987 Dr. Rubinstein graduated from the University of Central Florida with a Bachelor of Science degree in Biology. He went on to attend the University of Florida College of Veterinary Medicine at Gainesville, Florida where he graduated with honors in 1992. After being the proud owner of Tuscawilla Oaks Animal Hospital in Winter Springs for 14 years, he decided to open a new practice in Apopka in order to be closer to home. 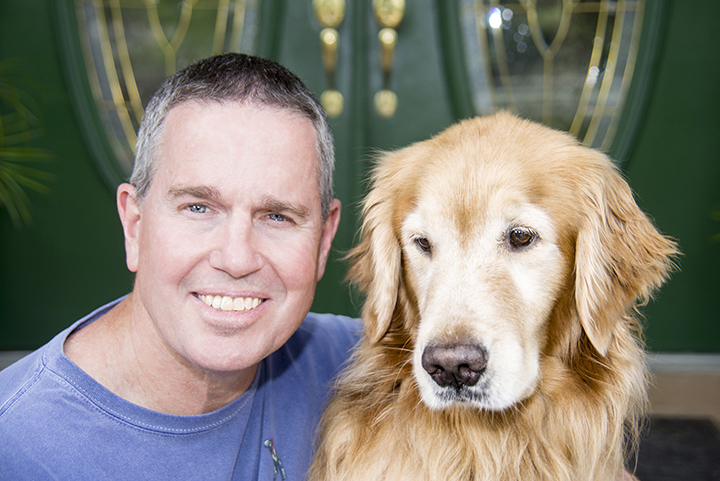 Dr. Rick has served on The Admissions Committee for the College of Veterinary Medicine at The University Florida-Gainesville and is currently the board president for the Central Florida Veterinary Emergency Clinic. 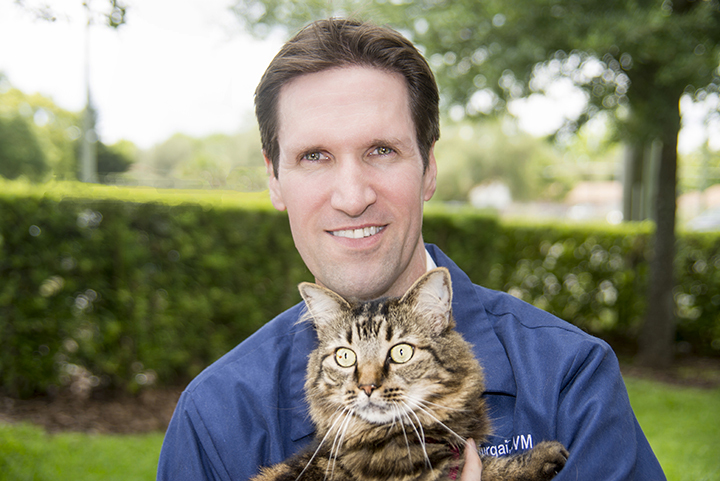 Once you meet Dr. Rubinstein you will instantly see his love for animals and his family. His hobbies include golf, running and biking, and the occasional triathlon. He and his wife, Terry, have 3 children along with many different kinds of pets. Like most veterinarians, Dr. Nelson developed a connection to animals at a young age. Her family always had pets, and she claimed two puppies as her due for her 5th birthday, though she later regretted naming them after her My Little Ponies (“Peachy” and “Butterscotch”). She also had a tendency to collect stray cats, and tried very hard to befriend every dog on her street. Later, she became the neighborhood girl who set up agility courses made of paint cans, yardsticks, and other “finds” from the garage for her Shetland Sheepdog to run through. As soon as she was old enough, she started spending all her free time at the local veterinary clinic and regaled her very tolerant family at dinner time with all the interesting things she had seen or learned. 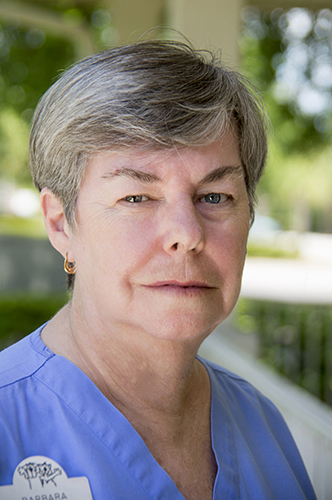 Throughout her studies at the University of Florida, Dr. Nelson was always drawn to understanding the “whys” of behavior. She trained her calico cat to sit, lay down, roll over, come on command, and even fetch (though she was never quite able to convince her cat that the middle of the night was not the appropriate time for a game of fetch). She now enjoys training her two Australian Shepherds, Trapper and Melody, for agility, obedience, rally, and herding. Dr. Nelson finds that training not only strengthens the bond between pet parents and their furry loved ones, but also opens the door to addition activities that they can do together. With Dr. Nelson’s knowledge of behavior modification and training, she loves to help our clients tailor their pet’s environment and attitude to optimize pet and family life. 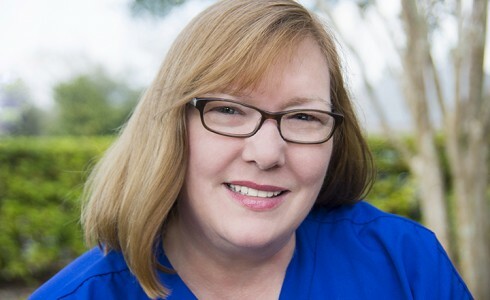 After working for Florida Hospital for many years Terry joined Park Avenue Animal Hospital as our Office Manager in 2008. 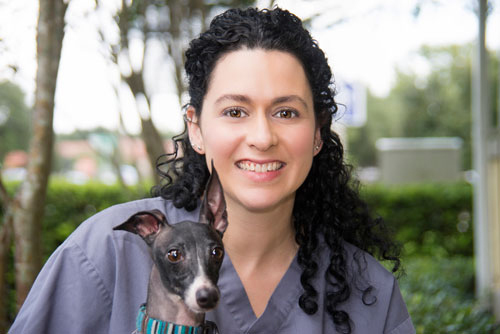 With her experience in nursing and her love of animals, Terry made the decision to move from human medicine to animal medicine when her husband Rick opted to open a new practice in Apopka so he could be closer to home. Of course having the opportunity to work along side her husband did not influence her decision in any way! Terry loves people and animals and her care and compassion for both, is endless and heartwarming. Her favorite things are reading and being with her family and friends, and taking care of the family’s numerous pets that include but is not limited to numerous dogs, cats and even horses. Be sure to say Hi to Terry when you visit she would love to chat. 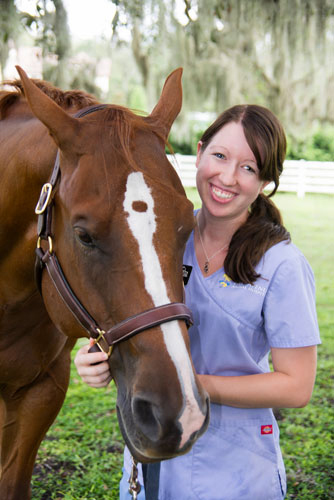 Amber has been in the veterinary field since 1999. Her senior year at Apopka High School allowed her to shadow at Umatilla Animal Hospital where she was able to observe routine care, surgeries, and traveled to farms for routine farm calls. 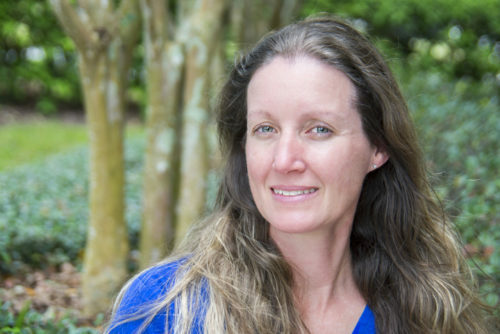 After graduation, she worked as a technician and receptionist for various animal hospitals in central FL, while taking courses for Veterinary Practice Management at St. Petersburg College. She has been with Park Avenue since opening in 2008, providing compassionate care for clients and pets, and reliable leadership for the entire front desk team. Her appreciation of animals and their well being derives from being raised on a sheep farm. She was a volunteer at the Central FL Fair sheep shows along with the Wrangler’s 4-H Club in Apopka, where she taught kids the proper care and handling of pets. Her family includes her husband and a son and daughter, along with Archie, a Yorkshire Terrier, and two rescue cats, Josie and Macy. When not working or spending time with her family, she enjoys reading, journaling, singing, and spending time with friends from Metro Church in Winter Springs. Kathy was raised on a small farm in rural Arkansas and learned to love animals at a very young age. Growing up in such a rural area, Kathy saw that animals often weren’t treated as well as they should be. She made it a goal to get involved in animal care, with the hope of joining a team that provides the best care possible and improving the lives of all kinds of animals. 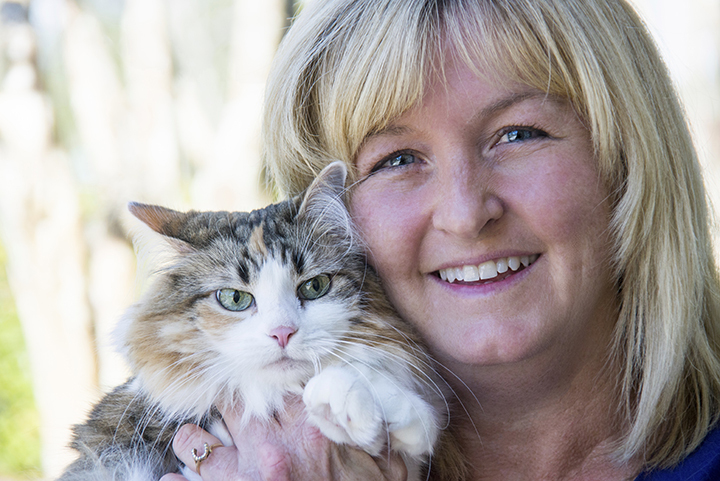 Kathy joined Park Avenue Animal Hospital in 2011, filling the role of Lead Technician. As Lead Technician she oversees the staff of technicians, leading by example and ensuring that everyone on the team continues to reach towards the common goal of providing only the best care for both pet and owner. At home, Kathy has a dog and a pair of cats that she bottle-raised. In her spare time, she enjoys horseback riding, jet skiing, hanging out by the pool and spending time with family and friends. Barbara has been a veterinary receptionist since 2002. After owning her own business in the Apopka community for over 23 years, she decided it was time for a change of pace. 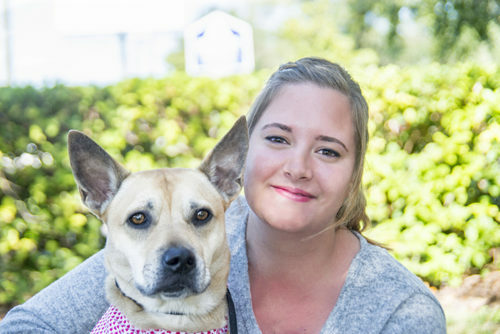 A love for animals and people alike inspired her to become a veterinary receptionist. 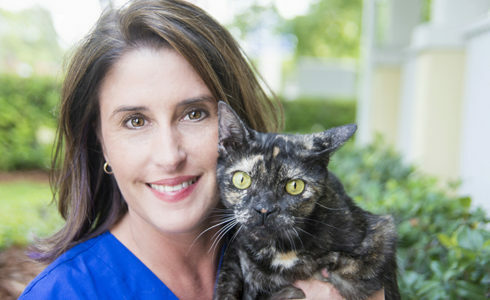 She became a member of the Park Avenue Animal Hospital team in 2008. She is a wife, mother, and grandmother, and utilizes those life experiences to better connect and communicate with clients of all ages. She enjoys meeting new clients and her charisma and energy is an inspiration throughout the office. Barbara is the proud pet-mommy of Shadow, a very appropriately-named cat. Emilie was literally born to work in veterinary medicine! While she joined the Park Avenue Animal Hospital team in 2011, some would say that she’s been in veterinary medicine all her life. Born while her dad was still in veterinarian school, Emilie has grown up around animals and the veterinary industry. It stands to reason that as she grew up, Emilie gained experience working with all sorts of animals. After graduating high school, Emilie attended Berry College’s animal science program. She has since returned home to central Florida to be closer to her family while she focuses on her future. Emilie is very passionate about horses. She has one horse of her own, along with the dogs and rats that make up her “pack”. In her free time, Emilie loves to visit Walt Disney World or spend time with her husband, Derrick, and her horse. Korina joined the Park Avenue Animal Hospital family in 2012. She has been involved in the veterinary field since 1993 and first became interested in veterinary medicine as a youngster taking care of her family pets. Her passion includes adopting and rehabilitating reptiles and loves to educate people on the care of their animals. Her animal family includes four dogs – three pitbulls (Navajo, Voodoo and Anevay) and a Chihuahua mix (Chewie) – lizards, and a large variety of snakes. When she is not working at PAAH, she can be found going to BMX practices and races with her husband and son, and taking care of her Koi pond. 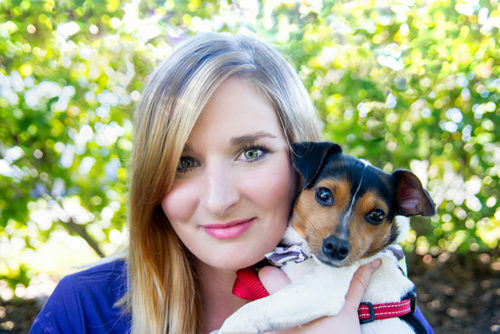 Shannon grew up in a home filled with pets and develop a deep love for animals and their care. When she got into the veterinary field right after graduating school, she brought that love with her. She hopes to one day channel her passion into her own animal rescue. When she isn’t at Park Avenue, Shannon spends her free time cheering on her kids at baseball, softball and soccer games, shooting photography, traveling, and being with her family – which includes two Chihuahuas, two German Shepherds, an English Bulldog, two parakeets and a leopard gecko! Jackie has been working in the veterinary field since 2007, but she knew for a long time that it was a field she wanted to be in. 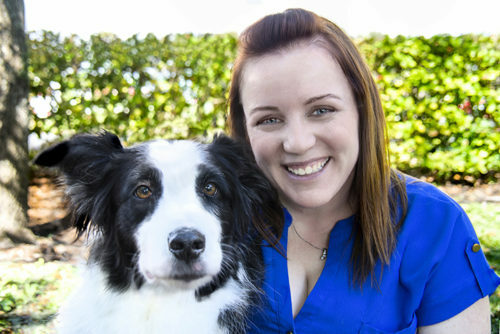 As a lifetime animal lover who always had pets growing up, Jackie jumped at the chance and immediately fell in love with helping clients and their pets. She loves to see the joy that each pet brings to its owner. And that compassion comes home with her when she leaves the clinic. Jackie enjoys finding loving homes for animals in need, and all of her pets are rescue animals – including a pug, Rafiki, and three cats, Ellie, Monkey and Maxwell. When she isn’t saving the world one pet at a time, Jackie enjoys spending time with her family, working in her garden, or shooting photography. Monica has been involved in the veterinary field for two decades, working at animal hospitals and fostering cats for the South lake Animal League. This has given her a lifelong love of animal rescue and wildlife rehab. At home she takes care of a number of surprising critters, including a dog, cats, a rabbit, a duck, fish and even an opossum! As you can imagine, this keeps her pretty occupied! But when she does get some free time, she likes going to the beach, out on her boat, and to comic cons! Ines has loved animals all her life. 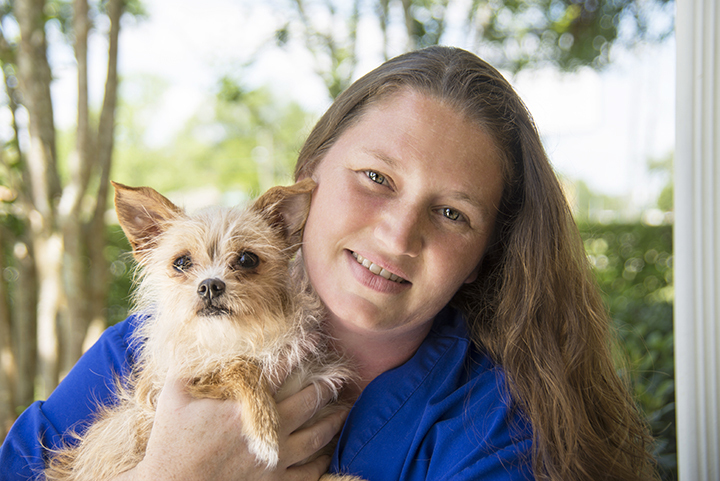 She joined the Park Avenue Animal Hospital team in 2012 as a kennel and technician assistant. Ines keeps the kennel and hospital clean and comfortable for all our clients and patients, ensures that boarding animals have all their needs met, and assists the doctors whenever an extra set of hands is needed. Ines appreciates animals of all shapes and sizes and is passionate about making sure the animals she interacts with have the best life possible. She has a wide variety of domestic and exotic pets, including a cat and dog, an African house snake, crested gecko, a pink-belly sideneck turtle, and a 50-gallon fish tank. 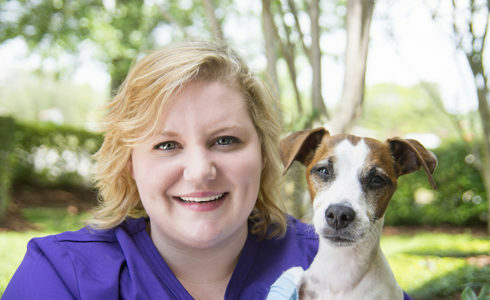 Though Tiffany joined Park Avenue Animal Hospital in October of 2013, she is no stranger to the veterinary field. She first joined the veterinary field in 2002 fulfilling a life-long desire to work with animals. Tiffany enjoys spending time with her two dogs, Diesel and Brutus, and her two cats, Magoo and Ben. She enjoys spending time with her family and animals, playing pool, and doing a variety of outdoor activities such as fishing, gardening and canoeing. 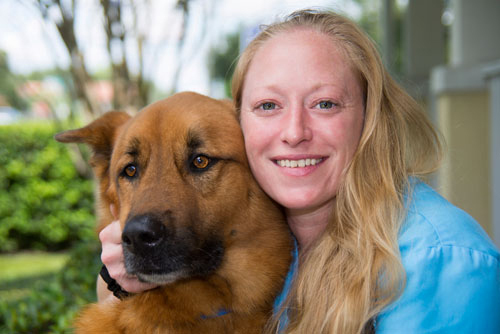 Erin has been working in veterinary medicine for over a decade. She developed a passion for animals and their well-being at an early age and brings that passion every day here to Park Avenue. She is especially interested in rescue animals, senior care, and dentistry. At home, Erin has three adorable dogs, a Jack Russell Terrier named Scamp, a toy fox terrier named Bug and a Jack Russell mix, Barney. When she isn’t at Park Avenue Animal Hospital, she is spending time with her hubby and doing agility classes with her pup, Bug. Though Megan has only been working in veterinary medicine for a few years, she has been an animal lover all her life and she’s always wanted a hands-on career working with them and learning about new species. She has a particular interest in veterinary oncology and wildlife rehab. When Megan isn’t working at Park Avenue, she spends her time home with her black lab and two cats. She also loves enjoying nature at Florida’s parks and springs (especially ones with manatees!) and going to the movies and Universal Studios. Angela has been working with animals for many years through vet hospitals, animals rescues, boarding facilities, petsitting, and horse ranches. She has a real passion for the work, loving the feeling she gets when she helps pets and their owners. She has owned several animals and has the love of a German Shepherd mix named Nala. On their downtime, Angela and Nala love to go on hikes and travel to America’s beautiful state parks. 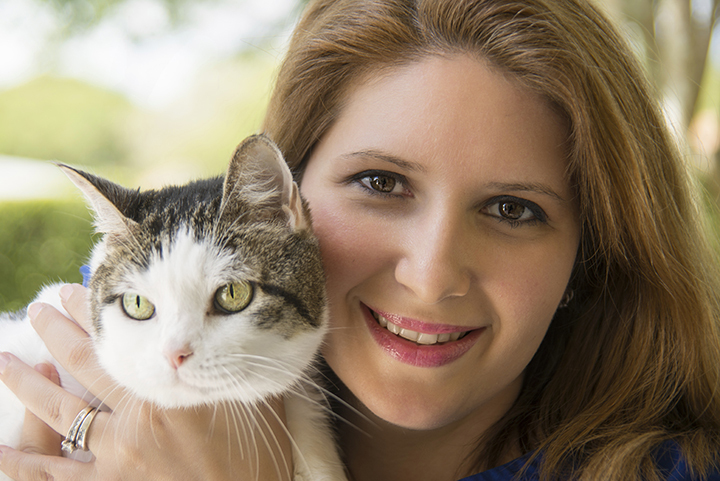 Stephanie has loved animals all her life and worked with Dr. Rubinstein for over a decade. After a brief foray into human medicine, she’s back in the veterinary field after deciding that animal care is where she wants to be. She is heavily involved with animal rescue. She currently helps 3 rescue groups by fostering and transporting animals, screening adopters and volunteers, and helping with medical intake. At home, she currently has a menagerie that includes 5 dogs – 2 frenchies, 2 pitbulls, and one mix – along with 2 cats, 3 ferrets and multiple geckos. Margaret has always had animals in her life. She has raised squirrels, foxes, and once even a mountain lion. She has trained, bred and showed English and French bulldogs, and rescued, rehabilitated, and re-homed dogs of all breeds. She has also spent time rescuing and rehabilitating horses, donkeys, and mules. One of her favorite equines was a donkey named Simon, who was trick-trained and even interviewed with the David Letterman Show for their “Stupid Pet Tricks” segment. Another donkey, Chewbacca, was also trick-trained and became an ambassador for rescued donkeys. 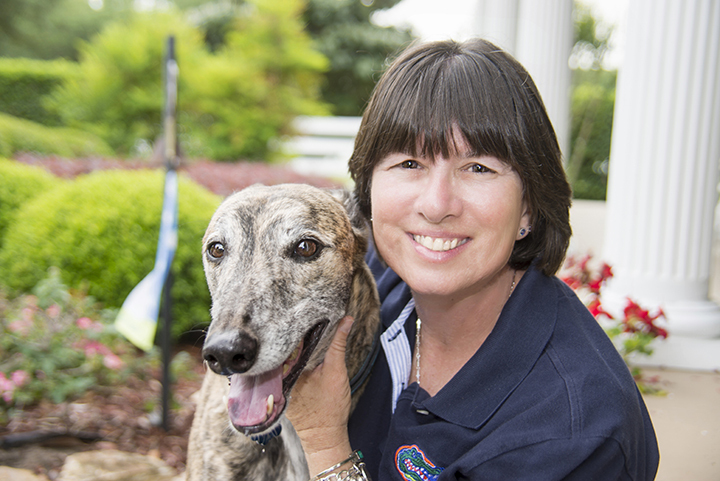 Margaret’s passion is working with dogs on behavioral issues and obedience training. She finds nothing more rewarding that to help a family communicate with their 4-legged members. 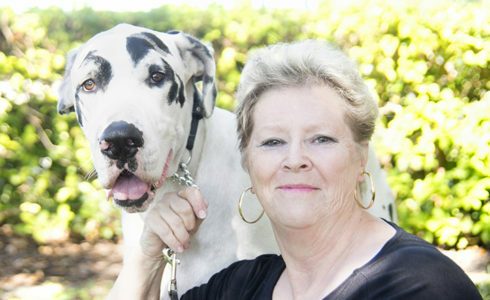 At home, she has three Great Danes – Max, Isabelle, and Marcus – whom she often takes to schools and nursing homes. She also has a rescued chihuahua named Ms. Thing and a hairless mix, Napoleon. 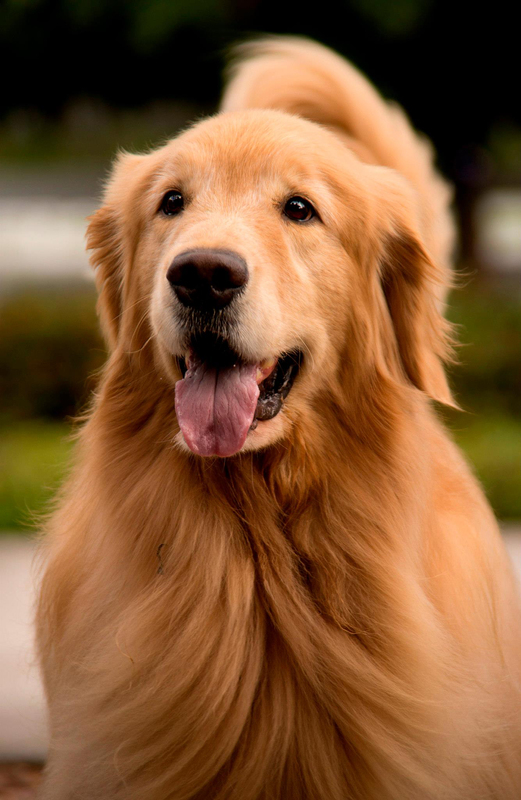 Seaver the Retriever is a pure-breed golden retriever, owned by Dr. Rick Rubinstein. He may be all grown up, but he is still a puppy-at-heart. Despite originating from a long line of champion show dogs, Seaver decided to skip show business and settle down as a family dog and beloved hospital mascot. Since even before Park Avenue Animal Hospital opened, Seaver has been its cheerful, welcoming face. His adventures have been immortalized (and somewhat embellished) in the Seaver comic strips that appear every week in the Apopka Chief, and on this website. In real life, he can frequently be seen hanging out at the hospital, eager for toys, treats and any attention. His loyalty, infectious smile and constantly wagging tail never fail to brighten someone’s day. Seaver is a good boy.